The Mabinogion is a collection of 11 stories from medieval Wales. Although only first committed to manuscript during the 13th century (the oldest surviving fragmentary manuscript dates to circa 1225), the tales are generally accepted as fossilizing an oral tradition that dates back many centuries previous to this. 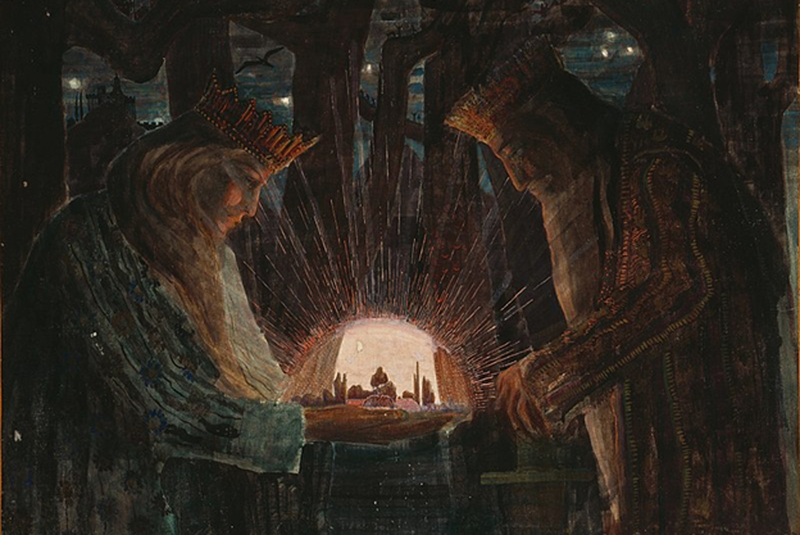 They contain a heady mix of history, pseudo-history, mythology and folklore, and provide our most direct route into the Celtic mindset and worldview of ancient Welsh culture. 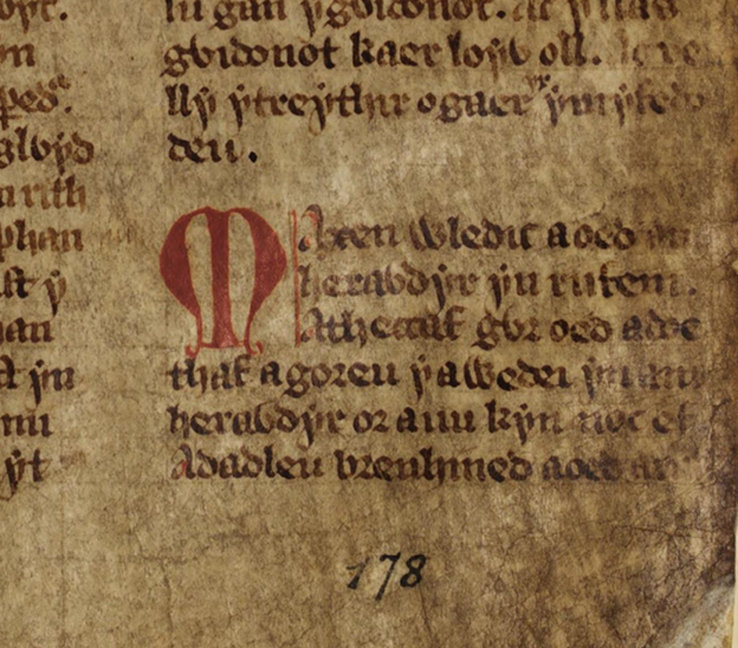 The stories of The Mabinogion appear in complete form in two 14th century Welsh manuscripts, The White Book of Rhydderch (Llyfr Gwyn Rhydderch), and The Red Book of Hergest (Llyfr Goch Hergest). They were all originally separate stories, written by different (unknown) hands, and were only collated into an autonomous group in the 19th century (first published as a complete set in 1849) by Lady Charlotte Guest, who translated the Welsh texts into English, using in part the earlier work of the Welsh antiquarian William Owen Pughe (d.1835). The 11 stories are usually split into the four branches: Pwyll, Prince of Dyfed (Pwyll Pendefig Dyfed); Branwen, daughter of Llŷr (Branwen ferch Llŷr); Manawydan, son of Llŷr (Manawydan fab Llŷr); Math, son of Mathonwy (Math fab Mathonwy) and three romances: The Lady of the Fountain (Chwedl Iarlles Ffynawn); The History of Peredur son of Evrawg (Historia Peredur ab Efrawg); Gereint and Enid (Geraint ac Enid) and supplemented by four further stories of various dates: Culhwch and Olwen (Culhwch ac Olwen); The Dream of Macsen Wledig (Breuddwyd Macsen Wledig); Lludd and Llefelys (Lludd a Llefelys) and The Dream of Rhonabwy (Breuddwyd Rhonabwy).